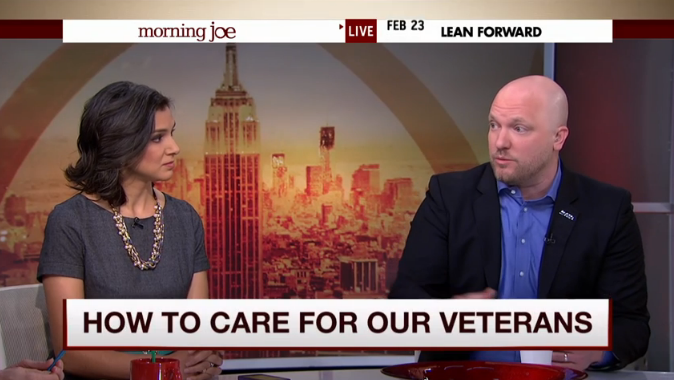 IAVA CEO and Founder Paul Rieckhoff joined MSNBC’s Morning Joe today to discuss the tragic suicide of veteran Jamie Brunette. Read more about Jamie here: http://bit.ly/17qoaLS. The panel also talked about the Clay Hunt SAV Act, women veterans’ issues, veteran suicide and how Americans can get involved in welcoming veterans home from war.